MicrofilmTMare sterile-sealed, without protective paper on top of each filter, and in a individual package on a band. The special pleating of the band units ensures that they are perfectly flat when dispensed. 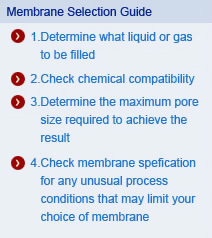 With clear advantages including operating convenience, less risk of accidental membrane contamination, less care and skill to aseptically separate membrane from packaging to reduce time per test.